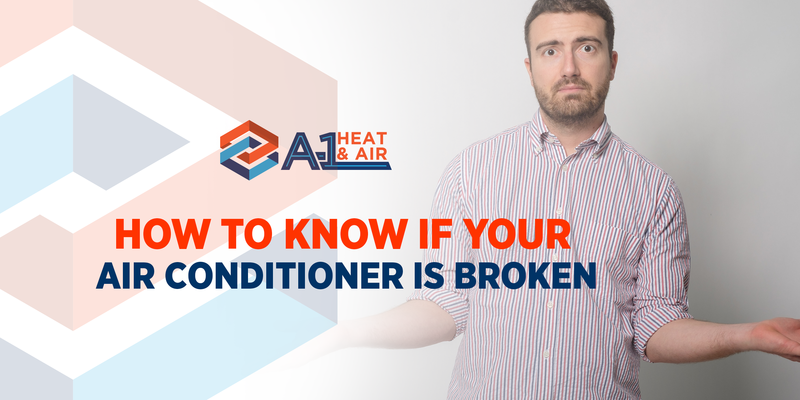 It is hard to tell whether your air conditioning unit is broken or not especially for inexperienced homeowners. They will not even realize that there is something wrong with their A/C until it has stopped working. If you have a strong feeling that your unit is damaged, you better look at these signs to back up your beliefs. Here are top warning signs to tell if your A/C unit is broken or need repair. One visible sign of a broken air conditioner is when you start to feel uncomfortable inside the house because the vents are pumping in warm instead of cool air. If you see that the unit is running, and the thermostat is on, but you could not feel the cold air, it is something to worry about. When this problem arises, your air conditioning unit may need light fixing or replacement of some mechanical parts. Contact your HVAC contractor as soon as you notice this sign. Either an electronic malfunction or a gusted fuse can cause your A/C to shut down. Check your electrical panel and locate the switches connected to the air conditioner. Turn the switch on and off then get the unit back to work. If nothing happens, you might need to reset the connection or plug the unit into another outlet. You will need the assistance of a professional electrician or an HVAC expert to identify the source of the issue. Do you hear grinding, grating, hissing and other odd noises coming from your air conditioner? These sounds only say that your A/C is in trouble. Take note, if your unit is working fine, it should operate silently. Each sound implies different signs of internal failure in the unit and requires different solutions. Grab your phone and call a qualified technician for a complete diagnosis. Have you noticed leaks and moisture in some parts of the cooling system where they should not be? If yes, it is an indication of severe failure of the unit. Leaks can come from a broken refrigerant or drain tube. These leaks can be a breeding ground for mold which can lead to severe health problems in the future. It is best to connect with an air conditioning expert immediately to solve the problem. If your utility bills have increased a substantial amount than the normal cost, it is a sign of A/C breakdown. At first, it may seem normal especially if you are using more energy but, it is worth looking into. Try comparing your past bills to the recent ones to see the difference. Your troubleshooting session might fail to address these problems, so you need a professional diagnosis to know the cause of A/C breakdown. Call A-1 Heat & Air Conditioning today for an expert inspection, maintenance, and repair service.